This was one of the very first restaurants we tried when we moved to Boston! It was a recommendation from a few of our friends and it did NOT disappoint. Even though it was one of the first and we have yet to be back, it has left a lasting impression! 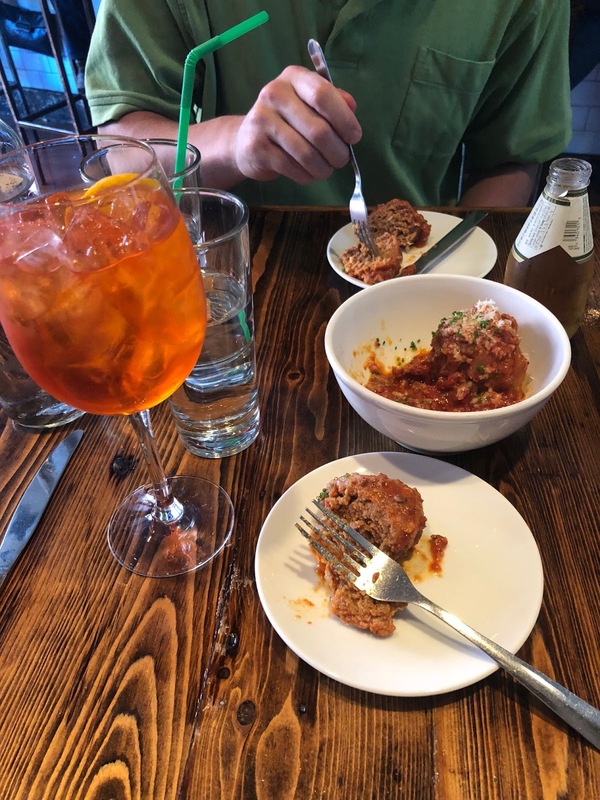 It's a small Italian restaurant with limited seating so I definitely recommend making a reservation but we just fell in love with the little neighborhood this restaurant is tucked away in the South End. I highly recommend their meatball appetizer--all of the food was good but that was our favorite! This restaurant we have probably frequented the most of all on the list. We have taken a few of our visiting friends here--I feel like it's the perfect Friday night dinner/drink spot! The decor is REALLY cool and it definitely seems like the bar is pretty popular later in the evening. If you go during the summer, they have an outdoor seating area that's right on the water! It's pretty much all small plates and our personal favorite item to order are the patatas bravas. This is another one we've been to at least twice. It's located in Eataly which is in the Prudential Center. Such a great spot because you can walk around Eataly beforehand, enjoy dinner at a gorgeous restaurant, then top off the night with some of the most delicious authentic Italian deserts. Another perk is everything is indoors. The ambiance is perfect for date night and the decor is gorgeous so this will probably be a regular spot for us during winter. If you've ever been to Nomo Soho in NYC it's definitely very similar in appearance! They have a great wine selection and we loved their bruschetta. 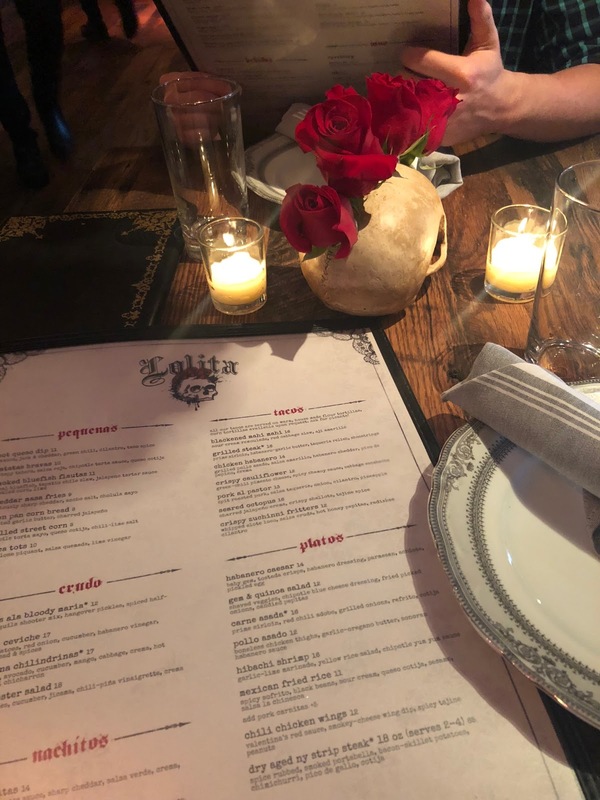 This was a hot spot on our radar pretty much since we moved here but between our schedules and also them having about a month long waiting list for a weekend reservation, we were finally able to go this past weekend! I have to say...it did NOT disappoint. The decor is gorgeous--very 20's inspired and it definitely feels very romantic. The food was AMAZING. Our favorite of the small plates we ordered was the Honey Walnut Shrimp! This one was actually recommended by Biana and her hubby! This is another spot we have visited a few times especially while we have had friends in town. 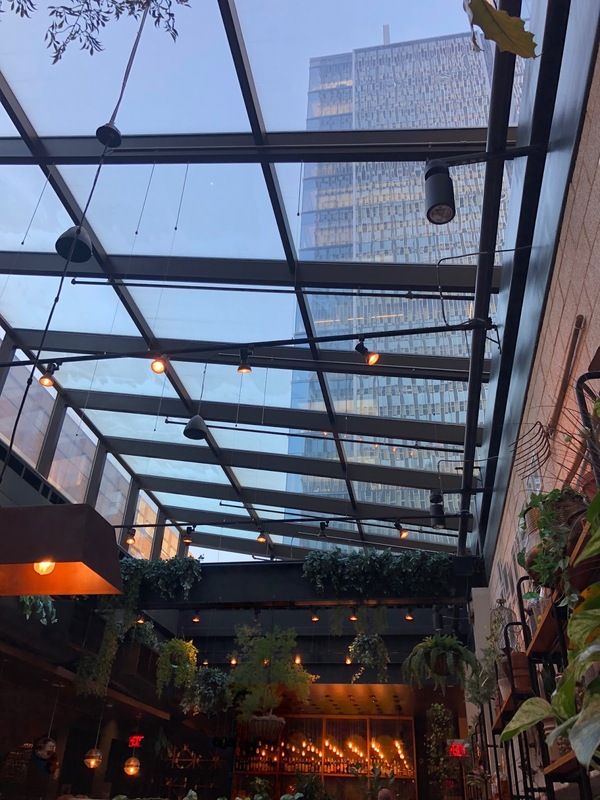 It's in my absolute FAVORITE part of the city near Beacon Hill and the Boston Public Garden so if you're visiting, I highly recommend making a reservation here but exploring the area before! Biana recommended the calamari pizza so we have ordered that almost every single time we've gone. I mean seriously...look at all that calamari! I also really like their red sangria! Pier 6/Reel House -- grab drinks at Pier 6 in Charlestown then take a boat ride over to Reel House for more cocktails and dinner! Phenomenal views of the city. The River Bar -- such a cool, eclectic bar with fire pits and cozy seating. They have a great Aperol Spritz! Now I am even more excited to get to Boston one day these sound diving! happy Monday babe! These all look amazing! I can't wait to visit Boston one day! oh these all sound amazing and yummy! You have 3 of my favorites on here! We didn't get to eat at Yvonne's last time we were there, just drinks, so we will definitely have to get food next time! Yum! 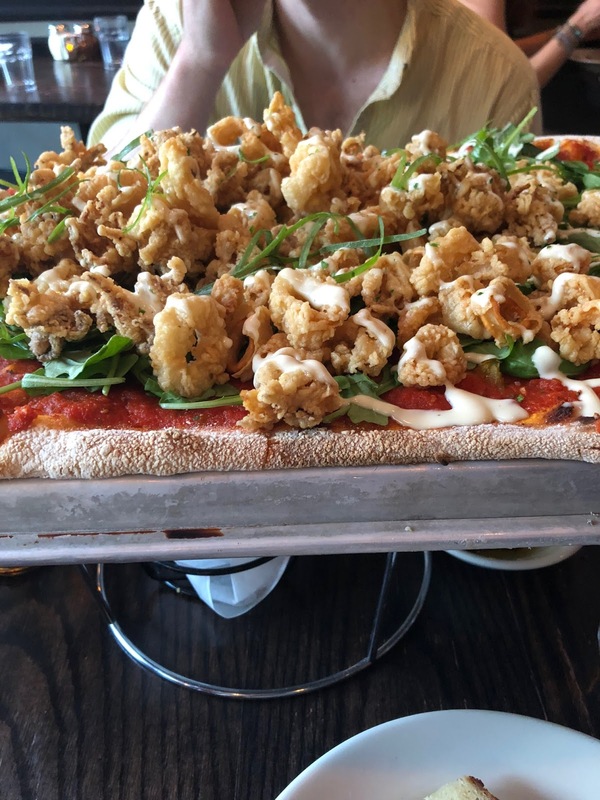 Calamari pizza was a thing I didn't know I needed in my life until THIS POST. Holy YUM!